The Performing Arts Series at the Sunday Artisan Market is a series of music and dance performances that take place during market hours. They are designed to activate the space, engage the community and highlight Toronto's diverse arts and culture landscape in an accessible and meaningful way. The Performing Arts Series at Evergreen’s Sunday Artisan Market is generously presented by our Cultural Partner Bank of America Merrill Lynch. Join us for three dance & music performances throughout the season. The first performance is Soudain, l’hiver dernier, performed by Citadel + Compagnie. Citadel + Compagnie is one of Canada’s premier dance companies, led by artistic director Laurence Lemieux, with resident choreographer James Kudelka (nine-year artistic director of the National Ballet of Canada). This award-winning Toronto-based professional dance organization have a mandate of fostering cultural participation and nurturing creative excellence. 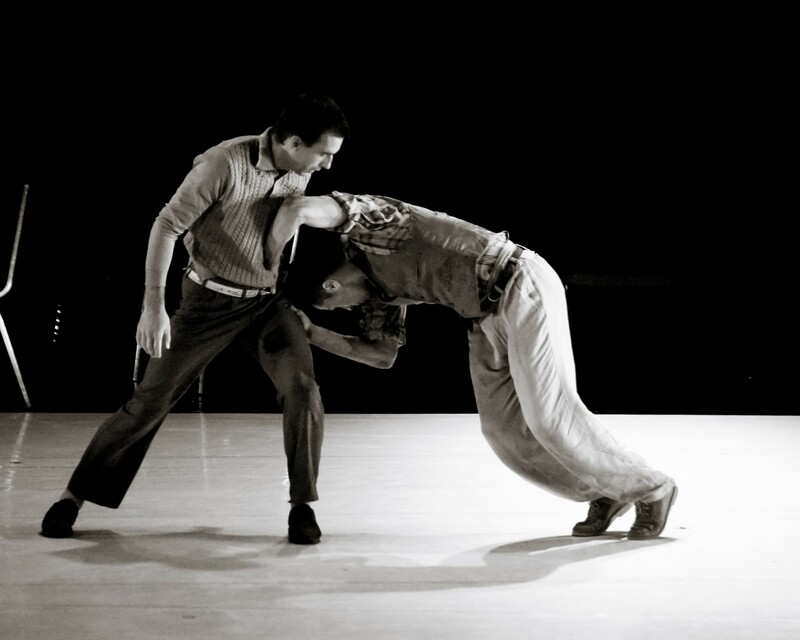 This remarkable dance for two men explores variations on the theme of not failing someone. Lifting or supporting a body always implies some kind of trust, and this choreography by James Kudelka distills this bedrock faith. Filled with symbols of male strength, and also male reliance, the movement embodies the notion that these are two solitudes that both border and protect each other. Soudain l’hiver dernier is performed by Andrew McCormack and Daniel Gomez from Citadel + Compagnie. The 18-minute performance will run twice on Sunday, August 12, at 11am and 12:30pm. 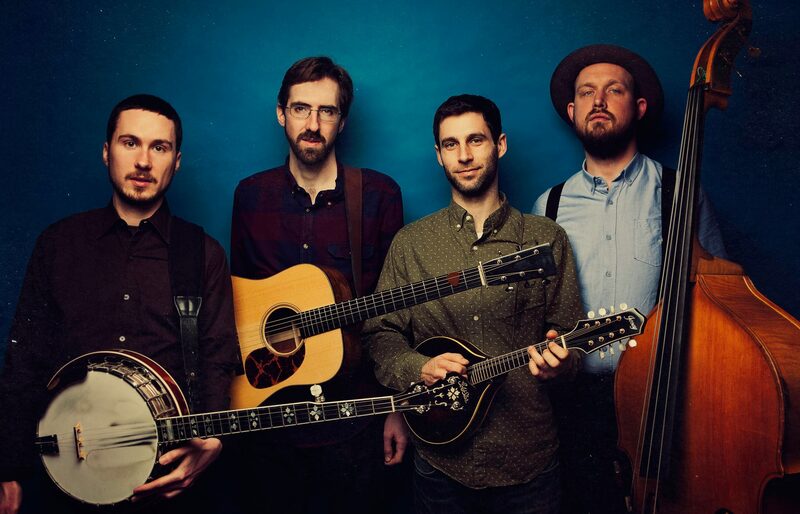 Favoring innovation over convention, The Unseen Strangers have cultivated a musical identity shaped by good old-fashioned bluegrass, the limitless barrage of contemporary musical influences, and a curious sense of humor. The band was started in 2008 by Adam Shier, songwriter, multi-instrumentalist, and driving force behind The Unseen Strangers. Adam fell in love with the sound of Bluegrass while attending college in Halifax and was soon recruiting his best friends to be in a Bluegrass band. The band quickly recorded an album and were excited to win a Music Nova Scotia Award in 2009 for Bluegrass/Country Album of the Year. The group has grown immensely from these small beginnings but a similar goal remains, to play new energetic bluegrass music with respect to the incredible lineage of its tradition. The Unseen Strangers are performing at Evergreen's Harvest Apple Festival on Sunday, September 23 at 1pm and again at 2:30pm. 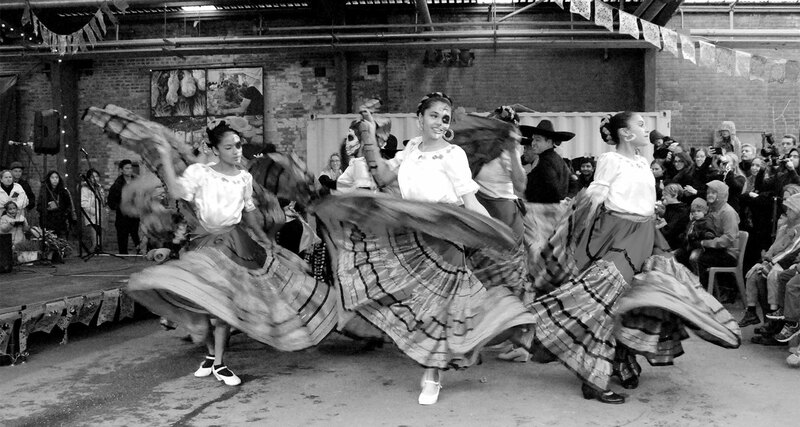 Join us for a special celebration of Latin American culture! Celebrate with live music and traditional dances on our main stage, which are an essential part of Day of the Dead celebrations. Surrounded by great Latin food, ofrendas and our annual Mexican Mercado our main stage will host dance, music, poetry and song from a range of artists and groups from within Toronto’s Latin American community. Performers to be announced! In the afternoon everybody will be welcome to join on the dancefloor as we close out the night with an array of traditional Mexican musical styles, Dia de Muertos celebrations songs and lively Mariachi rhythms, as part of the Sunday Performing Arts Series. The Performing Arts Series will happen on three Sundays throughout 2018. Check back soon for upcoming performance dates! This second performance will take place on September 23, 2018 at 1pm and again at 2:30pm.